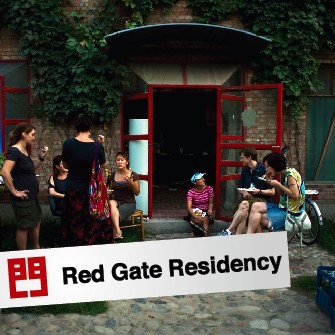 Red Gate Gallery Artist in Residence Program is an international artists residency program providing artists, curators, writers, and academics with the opportunity to live and create work in China. As a member of RES ARTIS, the International Association of Residential Arts Centers, we are committed to the promotion of multicultural arts dialogue within an immersion setting. Red Gate Gallery is supporting the residency programs of Associação Cultural Videobrasil, Asia New Zealand Foundation, Arabian Wings, Cultural Forum of Austria, Chippendale Creative Precinct, Creative New Zealand, Davidoff Art Initiative, Goethe-Institut China, Khazanah Nasinal Berhad and Red Mansion Foundation. In the past we have supported the Australia-China Council, Taipei Artist Village, and Ssamzie, Korea and are currently developing initiatives involving Singapore, Canada, the UK, Taiwan, Ireland and France. Hello Kate, Remember me??? I am thinking of a return visit next spring provided I can obtain some funding from here again. I have already contacted Liu Ling, my translator from this past spring, and she is interested in working with me on a more ambitious version of my film project. Most of my footage from this past visit is useless but I have been able to obtain a much better camera and have done some fine tuning on my project goals. At any rate, I just wanted to touch base and see what I had to do to apply again. I would need a studio again for 4 weeks though this time I will be doing more editing while I am there. Do you know of some facilities I can rent for editing and what the cost might be? Have your costs changed, ie studio rent and application fee? What about printmaking, do you have any access to presses or suggestions for where I can access a printmaking studio? O look forward to hearing from you and to seeing your smiling face again! Oh, almost forgot, would it be possible to have an exhibition of my prints at the Red Gate Gallery while I am there (I could probably fill the gallery) or is that a matter for Brian? I passed your original email on to Crystal Bell (who is coordinating the Residency Program)… I hope she was able to help out… I’ll be back in China from may 2010… when are you planning to visit? ?